The Winnie the Pooh jersey makes this list because it portrayed the “Big Bad Bruins” as tame teddy bears. I am ashamed to admit that I own a replica version of this jersey. 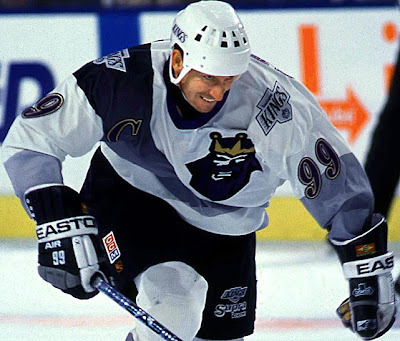 Buffalo is notorious for terrible jerseys (at least the Buffaslug horror is long gone) and this third jersey has to top the list of franchise disasters. The colour scheme is just terrible and the addition of a small word mark above the logo is absurd. A horse that breathes fire out of its nose…if that doesn’t say flames, nothing will! Nicknamed the “mooterus jersey”, this Dallas Stars alternate provided many NHL fans with a good laugh or two and younger fans with an introduction to female biology. Burger King couldn’t have asked for a better advertising placement in sports without spending a dollar. Ceremonial faceoff? Nah, we’ll have a ceremonial Whopper instead. 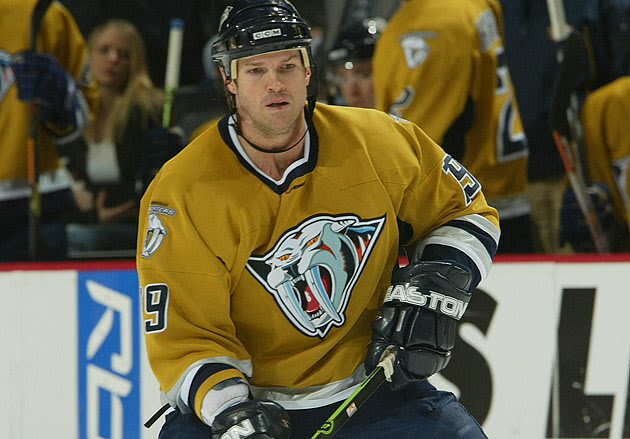 Although the current Nashville yellow uniforms are sharp, this mustard yellow alternate looks like it came from the ice age. While not an official third jersey, the Islanders slowly went away from this set by replacing the fisherman’s logo with the traditional Long Island logo and rotated two sets of Home/Road jerseys in 1996/97. Source: New York Sports Hub. The Islanders make the list again with this dull and uninspired alternate, resembling the New York Mets on ice. One of two jerseys on this list to use a nickname for a word mark, which is just a terrible use of a jersey. 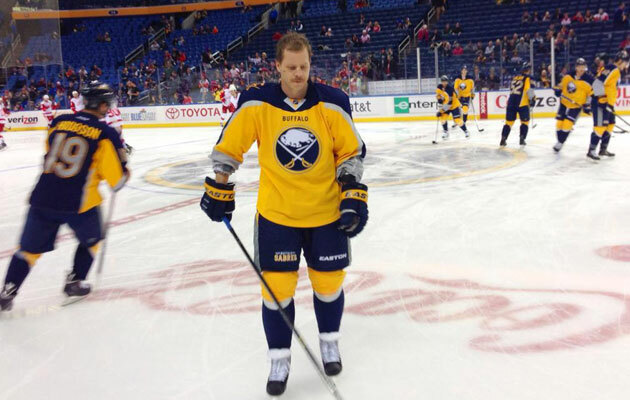 I also caught myself thinking the jersey said “SNES”. 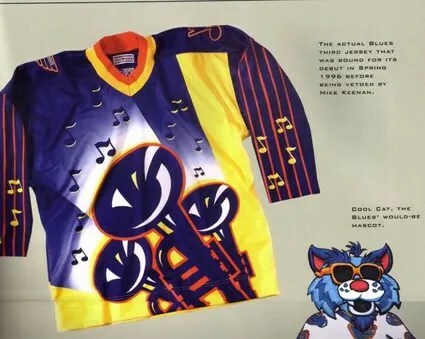 I was one of the few fans of the old Phoenix Coyotes logo, but this was just an unmitigated disaster and a terrible design for a professional hockey jersey. In case you didn’t know what the word “lightning” meant, Tampa Bay made sure to design lightning bolts all over the jersey, including the sleeve. Instead of designing lightning bolts, they just decided to write BOLTS this time around. Even worse. Vancouver is another franchise that has a plethora of terrible jerseys, but this makes this list as it was a needless alternate. Honestly, why use a gradient when just red would have been a cooler option? Although this jersey was never worn, it deserves to make the list for being designed in the first place. St. Louis should have worn these jerseys because other teams would have just surrendered from not being able to stop laughing all game long.